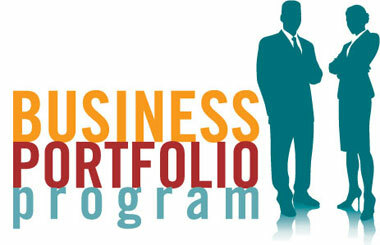 The CoB Portfolio Program - dedicated to student success. There is no singular route to career success—students’ interests run the gamut from working in large, publically traded companies on Wall Street to one day opening their own shop in the French Quarter. Just as there is no one definition that defines a successful career, there is no singular plan that can meet all student needs when it comes to developing their career skills and interests. In keeping with that theory, the Portfolio office has added new online resources to complement the extensive one-on-one personal career coaching already provided. “This year, we have been very proactive in adding resources to our website for our students,” says Karin Iwasaka, career counselor to the freshman, sophomore, and junior CoB students. Portfolio students can now explore links that cover a variety of topics. What to do with a major in… economics or finance or marketing or other business major is just one topic example that allows students to explore career options and perhaps even consider a career that wasn’t on their radar previously. There are links to databases on career choices, occupations, and potential employers. Several of these links connect the Portfolio student with Loyola’s Career Development Center as well. The CDC staff will guide a student through career assessment testing for any student who requests testing. “We’ve even added a link to the Emily Post Business Etiquette site that students can visit and get tips on telephone and social media manners or how to handle various situations as an office employee,” adds Iwasaka. Another upcoming addition to Portfolio is an online program called Interview Stream, where students can practice their interview skills. While it will never replace the one-on-one mock interviews the staff currently conducts with CoB undergrads, the program provides another means for students to get in some often much-needed practice before upcoming real-life interviews. Beginning in January 2012, Portfolio students can also access a series of webinars covering various job search strategies and hear different perspectives from other professionals out in the field. As part of the junior year program, students are encouraged to open a LinkedIn account and post a professional profile on the networking site. Many students have embraced the concept and are utilizing their accounts to make connections to the business community. Alumni of the CoB should note that we now have a CoB LinkedIn Group, and we encourage you to join. “As we prepare to add a senior year, the final major programming piece will be the addition of the Portfolio Executive Network,” adds Barnett. This password-protected link will provide junior and senior Portfolio students with experienced professional contacts locally, around the country, and globally, who will act as executive resources for students. Students will not be allowed to ask the network members for jobs but rather, utilize the resources to determine how best to move from college student to the world of work. The program will be optional for students so that only juniors and seniors who are interested in working with network members will do so. A formal application process for network members has been developed. Interested professionals can get more information by calling (504) 864-7958. With its new initiatives, Portfolio is fast becoming a vital part of students’ success.